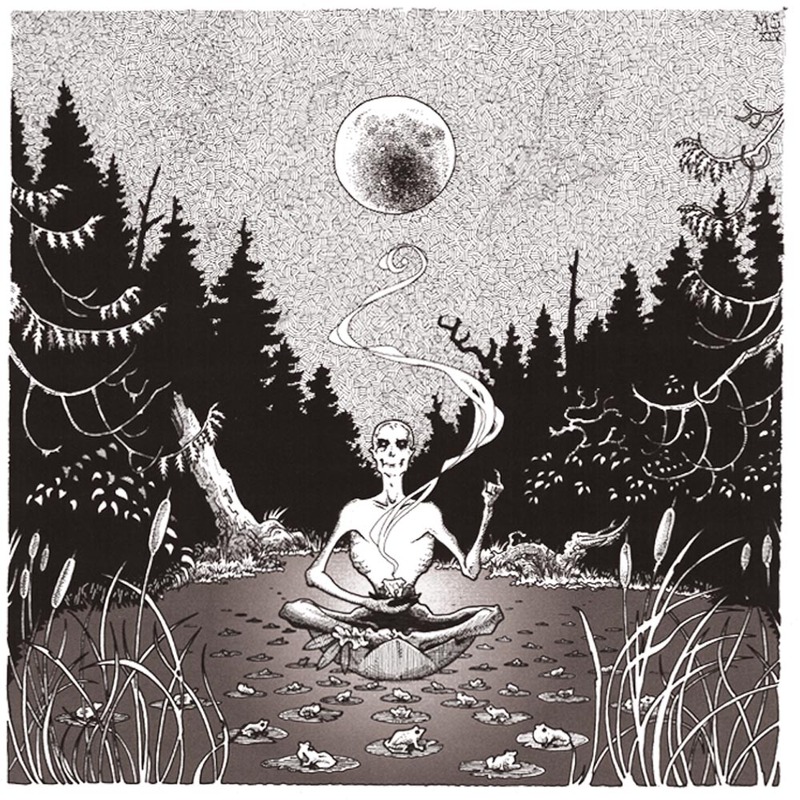 Back in July Illuminasty Records released a mammoth album by the Bainbridge Island, WA collective known today as Weeed. 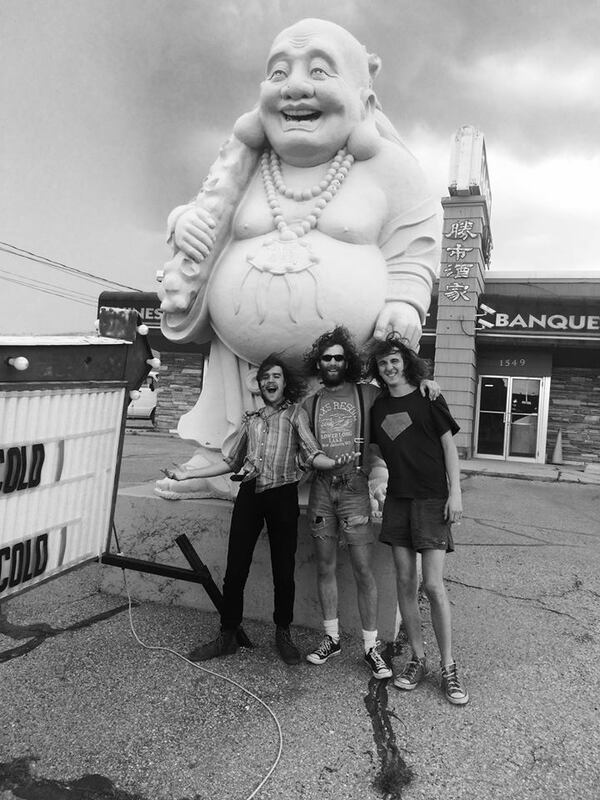 I say known today as Weeed because the band is an ever-evolving entity that rolls with life’s twists & turns and may have a different moniker the next time they treat us to new music (check out a great article by What’s Up Bellingham about the history of the band HERE ). As with anything you love in life, you have to give it space to grow and be it’s true self. I believe that is at the core of the innovative success of Weeed. Our Guru Brings Us Back to the Black Sabbath is a concept album of sorts. There aren’t singles or party jams and it should be played in full for maximum appreciation. If the band name Weeed doesn’t do a blatant enough job confirming the best state of mind that it should be listened to the song titles “Dogma Disolver,” “Caravan Spliff,” and “Nature’s Green Magic” should. These three dudes create some heavy psych tunes that could couple them with a wide variety of bands from Wovenhand to Earthless. It can be pleasing to those that want to close their eyes and relax in a hammock or to those that want to head bang while their mind is being shredded with wicked bluesy improvisation. Strangely enough for me Our Guru Brings Us Back to the Black Sabbath hit me in all of the same ways that Liars’ Drum’s Not Dead did. No, not with the same sounds but the same way that it burrowed itself into me. Upon first listen I wasn’t sure what my opinion was but the next thing I knew I hadn’t taken it off of my record player for weeks. This is one of the most interesting releases that I have come across this year and I recommend giving it a shot when you have time for yourself. Whether it is over coffee in the morning, during a long afternoon drive, or in your headphones while laying down for bed you will have a listening experience that will drag your mind through many thought avenues. I hope you enjoy Weeed’s Our Guru Brings Us Back to the Black Sabbath as much as I do. You can download Our Guru Brings Us Back to the Black Sabbath for free HERE and you can purchase a copy of white vinyl limited to 300 HERE.